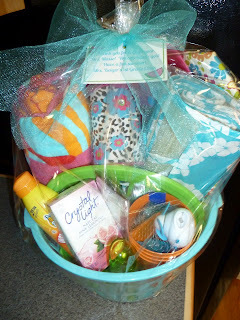 I gave this Summer Basket as an End of the Year teacher gift. 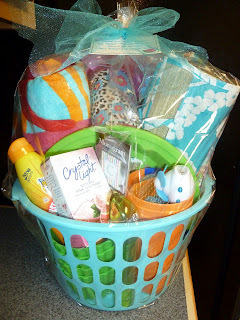 I found the basket at the Dollar Tree and filled it with items to use this summer! The basket contained: a small cooler bag, towel, flip flop chip & dip tray, koozie, straw mat, sunscreen, ice cream bowls & scoop, pink lemonade, bookmarks, plate holders, plastic cups, summer ice cube shapes, & a small fan. It turned out too cute!